We run the world’s most famous butler school. Some of our graduates want to gain experience and references after they qualify. If you are lucky we may have someone who is available for you. You can then have them free or pay a low salary. In exchange for allowing them to train in your location. Too good to be true? Not at all. Just a way for us to get our lovely graduates into work faster. Over the years, the prestigious British Butler Academy has won recognition. We are the most famous Butler academy in the world. Now a franchise that operates globally. This allows as many people as possible to participate in our unique training. Owned by the well known and ever popular Sara Vestin Rahmani, the academy is going from strength to strength. She started an intern-ship system for graduate butlers from her British Butler Academy. This free butler service is available for private clients and hotels. Free butler service from the academy whilst the courses run. 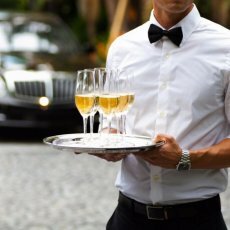 Free butler/butlers for an event. Free butler for a dinner party. Free butler for a party. 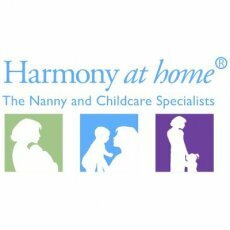 A free or low paid butler for 3-12 months. A part or full time butler. A male or female butler. A nominal expense/salary to them. An nominal small registration fee to us. Give them and us feedback on their work. Support them in their job search. Write them a reference if they do well. Who are the free butler service London candidates? Our butler training is available for those wanting to enter the service industry. It is also available for those already working in the private service industry. They come to us to gain a 5 star service attitude and skill set. They train in a real life formal setting. We teach traditional butlering with a modern twist. We make sure students are top trained at the time of the graduation. The 2 week intense training is equivalent to 6-12 months work experience. Our teachers are top trained and with at least 20 years experience. Canapé, Champagne & Afternoon tea service.